Myrna Engle, 71, Wahpeton, North Dakota and Sun City West, Arizona died on Thursday, December 6, 2012 at her home in Sun City West surrounded by her family. The Memorial Service will be held on Saturday, December 22, 2012 at 10:00 A.M. at Bethel Lutheran Church, Wahpeton, ND with Rev. Jule' Ballinger officiating. Visitation with her family will also be Saturday morning from 9:00-10:00 A.M. Myrna was born on June 4, 1941 in Brinsmade, ND the daughter of Bronald and Inga (Brenno) Thompson. 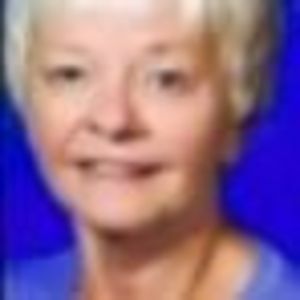 She was raised and educated in Oberon, ND and graduated from high school in 1959. She attended college at Valley City State College, Valley City, ND graduating in 1963. Myrna was united in marriage to Glen Engle on August 19, 1966 at Calvary Lutheran Church, Oberon, ND. They taught together in Edgeley, ND and Wahpeton, ND. Myrna was a member of Bethel Lutheran Church and was active in church, school and community activities. She enjoyed spending time with family, especially her two young grandchildren; Ella and Addison. The couple also enjoyed traveling and spending winters in Arizona. Her loving family includes her husband, Glen; children, Melissa (Tom) Hauge, Chaska, MN and Jon (Jen) Engle, Cleveland, OH, grandchildren Ella Engle and Addison Hauge; sisters; Audrey (Dale) Moug, Judith (Loren) Koppelman, Lois (Michael) Delmore, a brother Mark (Sharla) Thompson and a sister-in-law, Alice Thompson along with many nieces and nephews. She was preceded in death by her parents and a brother, Curtis Thompson. Family requests Memorials be given to the American Lung Association or donor's choice. Bethel Lutheran Church, 607 6th Street North, Wahpeton, ND 58075 Funeral Service for Myrna Engle https://www.tributes.com/obituary/show/Myrna-Engle-94900056#services https://www.tributes.com/obituary/get_ics/94900056?service=2480415&tr= Visitation with the family from 9:00-10:00 A.M.
Visitation with the family from 9:00-10:00 A.M.
My love to Myrnas family and may she rest in peace. So sorry for your loss. May God Bless and keep all the family. Glen, Melissa, and Jon Our prayers are devoted to your family. We are so sorry. I have lots of memories and respected Myrna because she was such a good person and friend. She always had positive things to say and always had an open heart. I loved her very much. We will miss her. To Myrna's Family, so sorry to see Myrna's obit in the Fargo Forum. My condolences to Her Family. I worked with Myrna at Central Elementary. She was a very special lady. My thoughts and prayers go to the family. Glen and family, I'm sorry for your loss. Myrna was a kind and sweet lady. I enjoyed the visits I had with Myrna on our stopovers in Wahpeton on way to the fishing trip. She was a wonderful host.